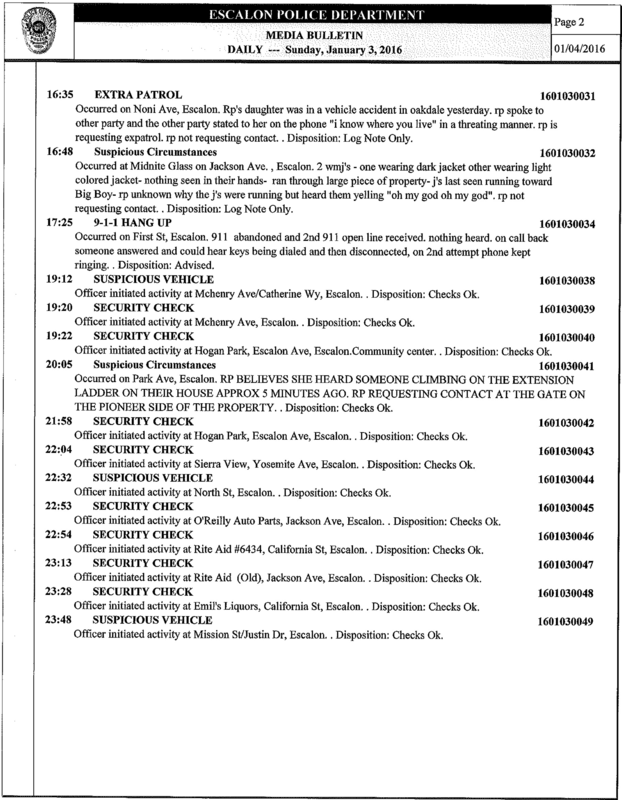 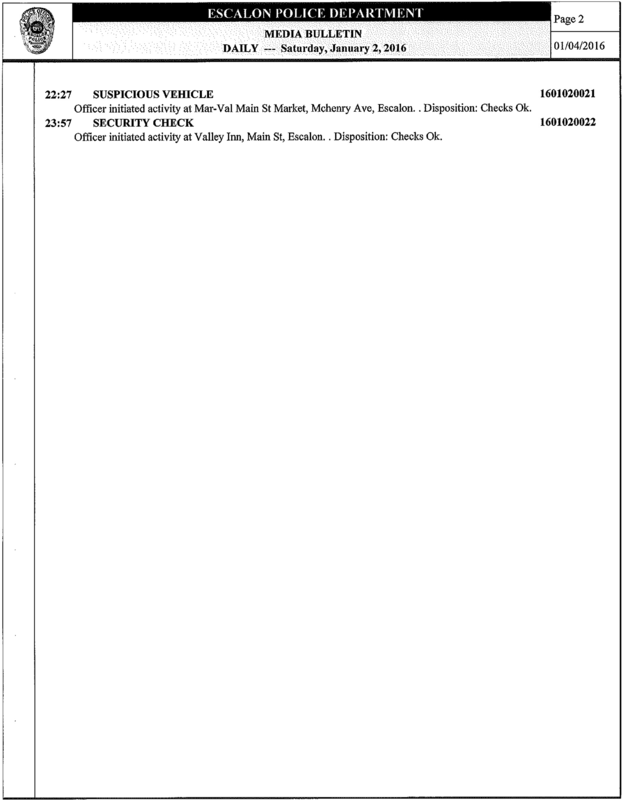 Previous Previous post: ESCALON POLICE LOG – DECEMBER 23, 2015 THROUGH DECEMBER 29, 2015. 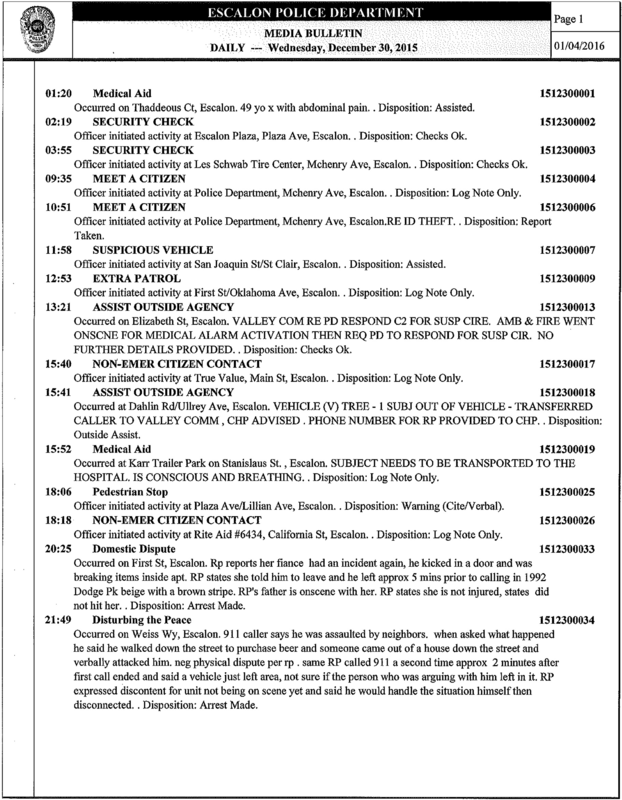 Next Next post: ESCALON POLICE LOG – JANUARY 04, 2016 THROUGH JANUARY 08, 2016. 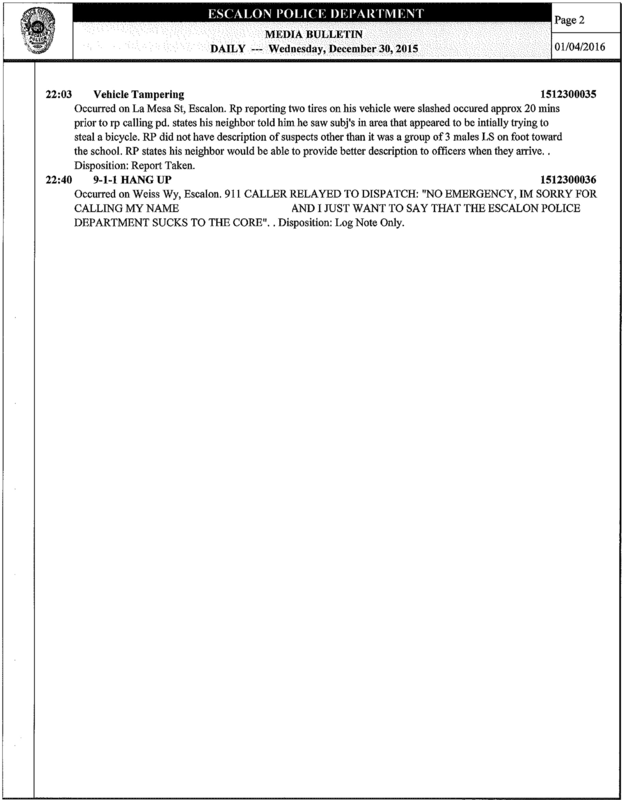 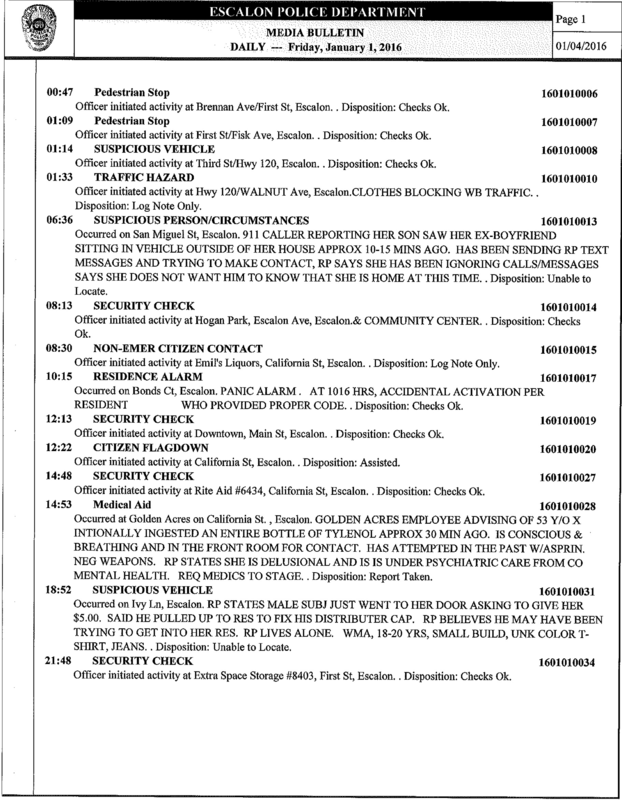 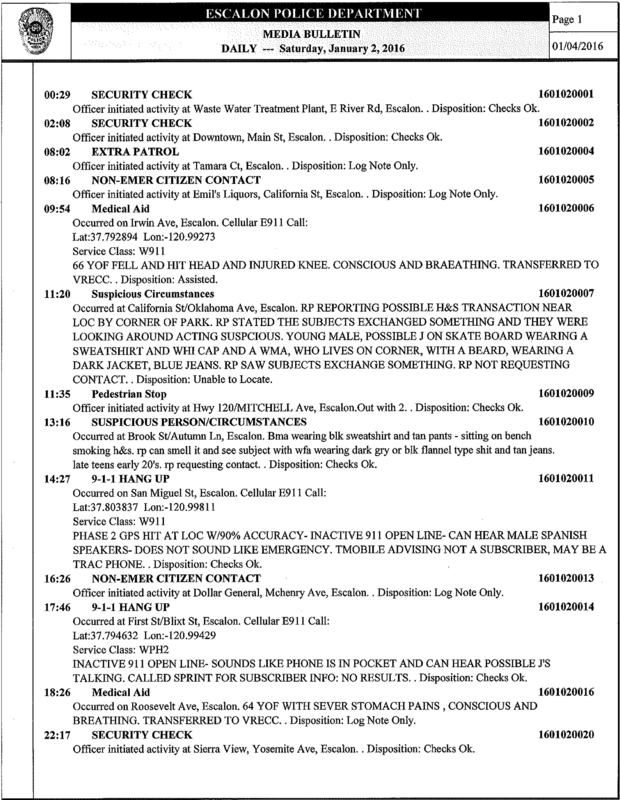 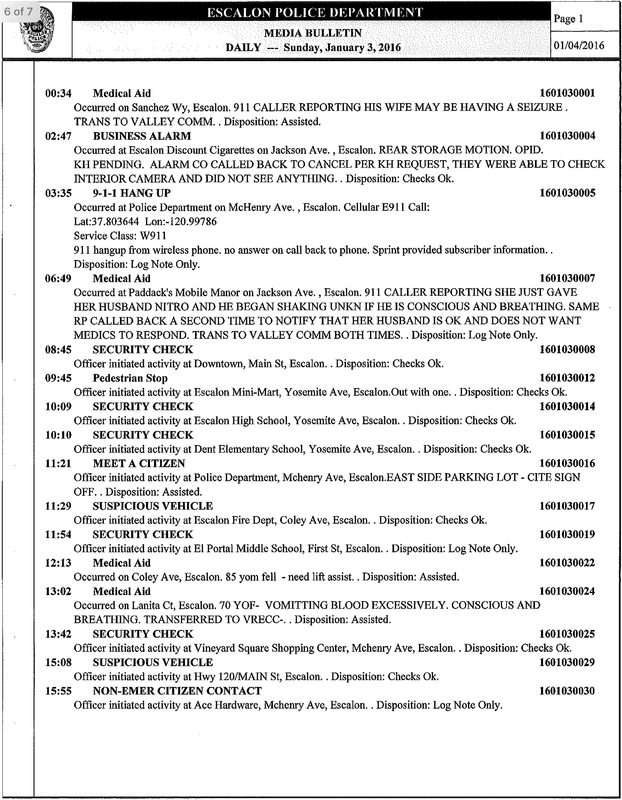 WeEscalon ESCALON POLICE LOG – DECEMBER 30, 2015 THROUGH JANUARY 03, 2015.